With all the headlines about Europe over the last few days, I thought I’d take a stab at describing what went wrong and what may come next (the image is from here). In the late 1990s many of the countries in Europe decided it was a good idea to not only be a member of the European Union (which had existed for a while), but also to share a common currency. This currency, the Euro, was first issued in 2002 and was promoted as a way to reduce trade barriers across Europe, reduce the hassles of dealing with myriad currencies, and more fully integrate a continent that had a checkered past. With a common currency comes a common central bank, which is the European Central Bank (ECB; similar to the Fed in the US), based in Brussels. This was setup such that the continent would have a currency union without an accompanying political union. This essentially means that there are no fiscal transfers (normally) throughout the continent. In the US, certain states, such as Mississippi or Alabama have more people on Medicaid and other forms of welfare than do richer states, such as Connecticut and New York. What happens over time in the US is that the richer states end up transferring large sums of cash to poorer states (through payroll and federal taxes; see a map of this here). In Europe, as you might imagine, the citizens of Germany are loathe to send money to profligate (or poorer) Europeans in, say, Portugal. The problem, though, is that there is only one European central bank for all the disparate economies in Europe. So, if Germany is experiencing inflation, the ECB will raise interest rates (to head it off), even though Spain or other members of the Euro may be suffering from economic malaise (which is helped with lower interest rates). It’s essentially a problem wherein Europe’s economies need varying remedies but the ECB has to treat them all as one patient. Obviously this doesn't work. Enter Greece. Over the last few years the country has suffered from a profligate government, over-generous public benefits, and a poor ability to properly collect tax revenue. What usually happens in this situation (like with the US) is that the country sells bonds to local and international investors to raise revenue and plug the shortfall. Greece has done this, of course, but bond investors no longer trust the Greek government to pay investors back. This is seen in Greece’s soaring interest rates, which at last check were at 93% for the 2 year bond. This is unsustainable, of course (as no country can afford that), and what happens is that the EU itself and the International Monetary Fund (IMF) step in to help make the country whole. When they dole out the piles of cash, however, they also impose conditions of austerity to help get the country back on track. This doesn’t help, though, as an economy usually tanks—which is happening—when people (and governments) stop spending money, so Greece and Europe are essentially trapped. Greece can’t grow out of its debt cause of the austerity plans imposed on them, they can’t devalue their currency (and boost exports) because they’re in the Euro, and they can’t get funding from international bond markets at sane rates. The EU is also trapped because many French and German banks hold Greek bonds, so if the EU just lets Greece default then it will take Europe’s big banks down with it. A related problem is the fact that Spain and Italy also have large deficits and the worries around Europe (especially about the EU’s lack of coherent policy-making) are sending their bond yields higher, which makes the debt harder to sustain, thus making them look less credit-worthy, which sends their yields even higher, etc. It’s a vicious loop and this is what the European authorities are trying hard to stop. In the middle of all this, the Greek president, George Papandreou, yesterday said that he’d put the latest installment of aid money to a vote. While free money always sounds good, many Greeks are bristling at the austerity measures imposed on them and the fear is that the Greeks will reject the money and the government will default on its bonds. 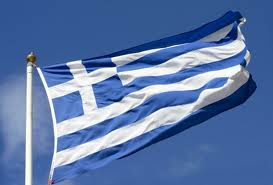 Another, related, worry is that the Greek government will collapse, which will make it near impossible for the country to maintain some semblance of confidence, implement the needed cutbacks, raise enough revenue, and not default on its bonds. Nicolas Sarkozy and Angela Merkel are meeting today in Cannes to sort it all out. If Europe doesn’t commit to a significant and sustained transfer of money to Greece then the country may well default and leave the Euro. Scarily enough, Italy could follow. No one knows what might result from this financially and economically. While some in America may be tempted to feel a bit of schadenfreude from all this, it would surely be misplaced, as our economy (the world’s second biggest) cannot easily do well when Europe’s (the world’s biggest) is on the brink. With that, happy Wednesday! Learn more about this here, here, here, and here.